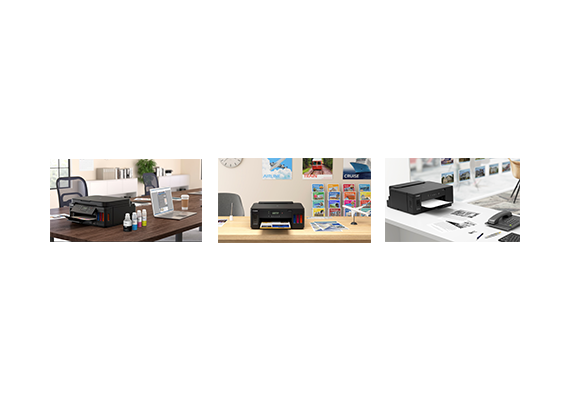 SINGAPORE, 28 March 2019 – Canon today announced an exciting new logo and rebrand for its mini photo printer series, together with the first instant cameras for its Mini Photo Printer line up. 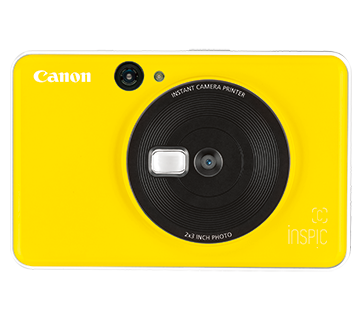 The iNSPiC [S] and iNSPiC [C] series arrive to the party as pocket-sized instant camera printers that combine the time-tested fun-in-the-sun appeal of compact mini printers with digital camera capability. 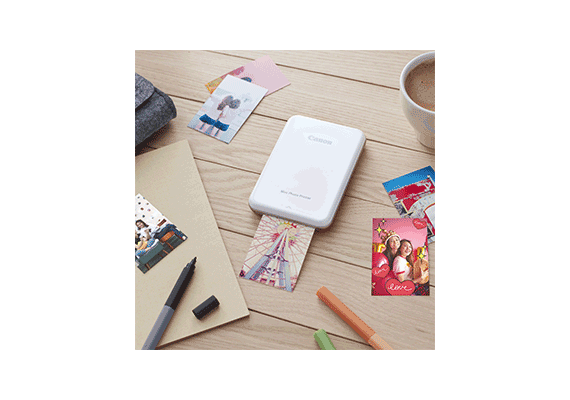 Available in Pearl White, Matte Black and Rose Gold, this classy instant camera printer comes thinner than most compact digital cameras and is a perfect fit for small hands, slipping easily into clutch bags or pockets for a day of fun out in the sun, or a relaxing evening with friends. The ultra-slim profile packs in a powerful 8-megapixel fixed focus camera, so you can shoot and print instantly from just one device without the need to perform a juggling act with a separate camera and printer. The real crowd-pleaser comes in the form of a built-in LED ring light that circles the camera lens and activates a powerful fill light for beautiful portrait shots. 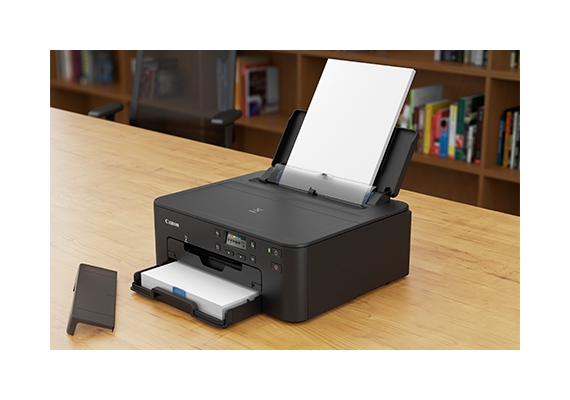 Users can also connect the device to smartphones using the Canon Mini Print mobile app to print photos stored on smartphones or photo albums on social networking accounts. A quick reprint button makes it easy to get multiple reprints off the instant camera printer, while the app also receives a useful update to include a virtual shutter button for remote shooting, and with even more stickers for decorating photos before print. 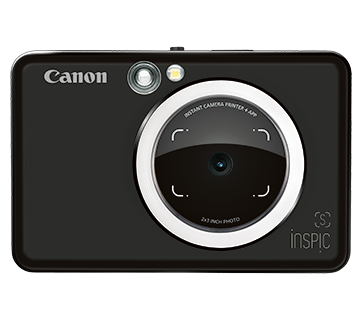 The iNSPiC [S] also comes with a Micro SD slot that supports card capacities of up to 256GB, so holiday makers can choose to save the captured images before treasured moments onto a laptop back at home. The iNSPiC [C] series accompany the [S] series dressed in a palette of pop colour design options, with flavours such as Bubble Gum Pink, Bumble Bee Yellow and Seaside Blue making a bold fashion statement at gatherings with friends and family, or simply just to stand out in the crowd! A built-in 5-megapixel camera and a selfie mirror next to the camera lens makes selfie-shooting easy, while a one-touch reprint button ensures no one leaves the party without first receiving a photo print of that one precious moment. The Canon Mini Print app turns ordinary users into expert creators thanks to a vast library of photo-editing functions, creative filters, frames, stamps and text styles. These simple tools can be applied to photos snapped using the in-app camera integration, or on images downloaded from photo albums stored on cloud services such Facebook, Instagram, Google Drive and Dropbox. Special features include augmented face distortion and the option to draw on photos before printing.